Over the day of September 30, militants opened fire at positions of the Armed Forces of Ukraine in the zone of the Joined Forces Operation in Donbas 28 times, of which 6 cases involved the use of arms banned by the Minsk Agreement. As a result, one Ukrainian soldier was wounded, the press center of the JFO headquarters reported on Facebook. “Russian invaders opened fire at the positions of our troops 28 times. In six cases, the enemy used weapons that were forbidden by the Minsk accords. In the course of hostilities, one Joined Forces soldier was wounded,” the statement said. The terrorists opened fire from mortars of 120 and 82 millimeters caliber, armament of infantry fighting vehicles, anti-tank missile complexes, grenade launchers of various systems, large-caliber machine guns and small arms near the settlements of Krymske, Novotoshkivske, Yekaterynivka, Novozavinovka, Troitske, Luhanske, Opytne, Peski, Pavlopil, Hnutove, Vodiane, Lebedynske and Shyrokine. Militants fired the positions of the Armed Forces of Ukraine near Vodiane from anti-tank guided missiles, and armoured personnel carriers were used in attacks on positions near the Krymske, Troitske and Vodiane. 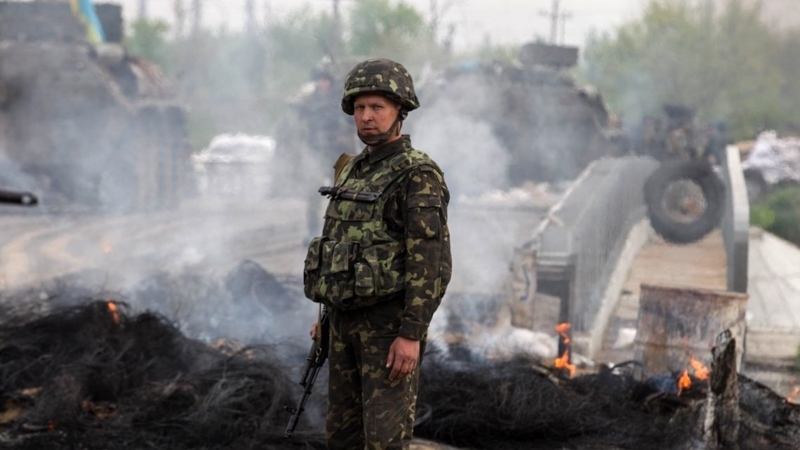 The headquarters of the JFO noted that over the course of the day, four militants were liquidated, and another eight were wounded. Earlier, Principal Deputy Chief Monitor of the OSCE Special Monitoring Mission to Ukraine, Alexander Hug said that the number of violations of the ceasefire since the beginning of the year in the conflict zone on the Donbas has increased 205 thousand cases.